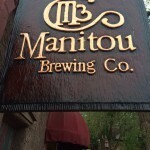 Manitou Brewing Company opened up March 1st. They are located at 725 Manitou Ave in Manitou Springs, Colorado. They are operating more as a brewpub featuring five beers of their own creation, guest beers, and food. Presently, they are serving up their Belgian Blonde Ale (4.7% ABV, 27 IBU), Session Red (4.7% ABV, 12 IBU), Smoked Nut Brown Ale (6.5% ABV, 45 IBU), Manitou Common (5.2% ABV, 25 IBU), and IPA (6.7% ABV, 65 IBU). I started with the Session Red and a House Salad. The Session Red had a very good malt flavor with a surprisingly good body when many reds have minimal body. It would be a great session beer as the name indicates. The House Salad was very enjoyable and above the bar you would ever expect at a brewpub. 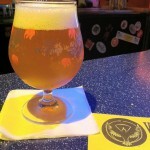 The Belgian Blonde Ale has a nice aroma with mild Belgian blonde characteristics and a note tart with a dry finish. The finish is a bit too dry. 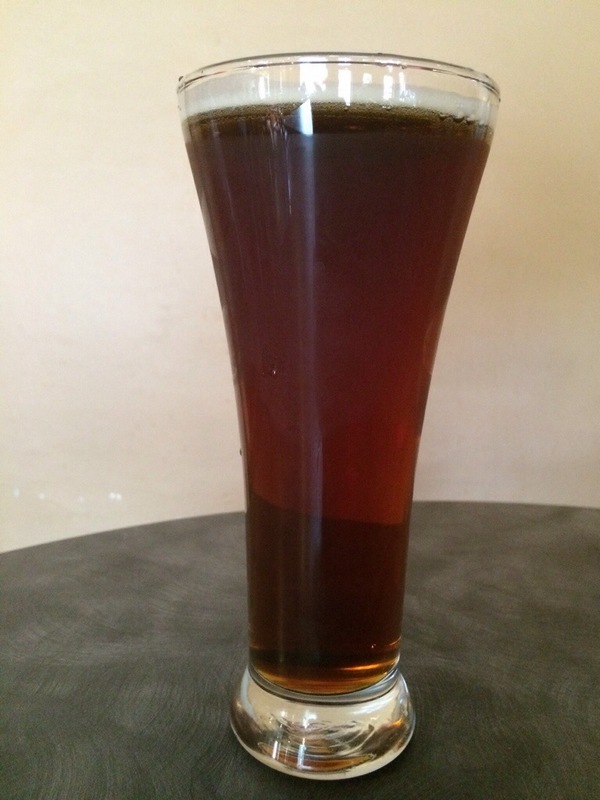 The Smoked Nut Brown Ale is a light bodied beer with a enjoyable nuttiness. The finish leaves the mouth filled with the beer’s flavors long after the initial taste. I am fan of this style and this Smoked Nut Brown Ale makes me happy. This beer would go great with a steak or other grilled foods. The Manitou Common is very un-common. It has an initial hint of fruit. The lacing is very nice for this style. The dryness over powers this beer. It would very sessionable, but the dry finish could hold it back for some. The IPA start with an enjoyable aroma. I had to take it outside to full take in the aroma. The hops are screaming in this beer. The hops come off a bit harsh, but it gives this beer a character. 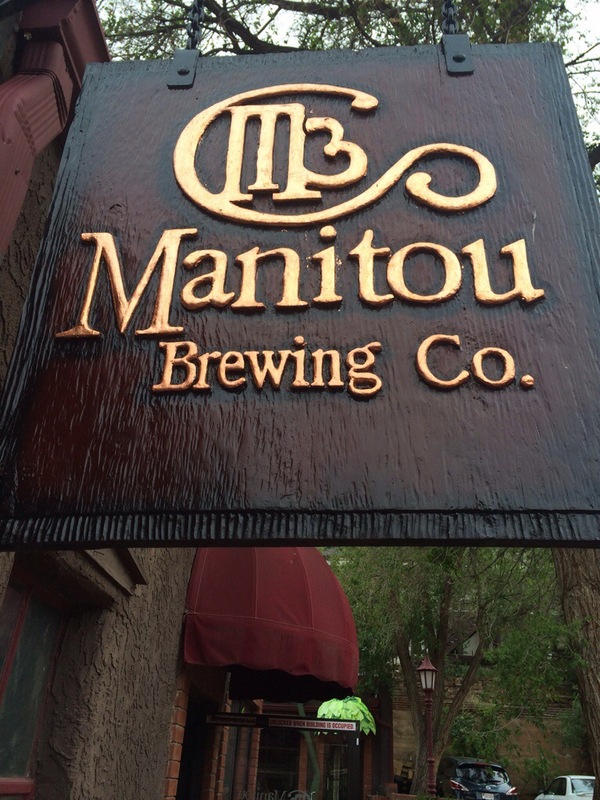 Overall, I can see great things in the future for Manitou Brewing Company. The staff is very friendly. The food service is beyond what is expected for a brewpub. The establishment is family, which is very nice for all those young pink boots out there. The beer is very enjoyable. 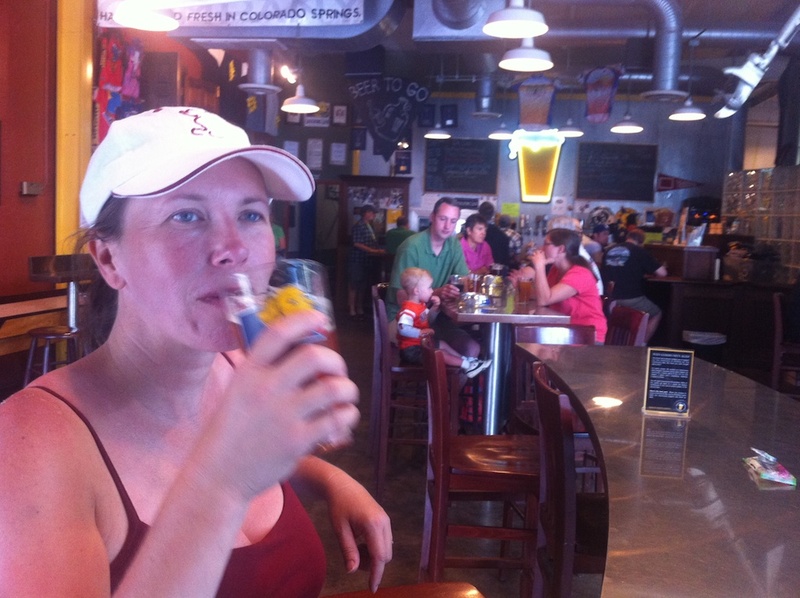 I looked forward to trying more offerings from Manitou Brewing Company. Bristol features a wide variety of beers. Their flagship beer is their Laughing Lab Scottish Ale. 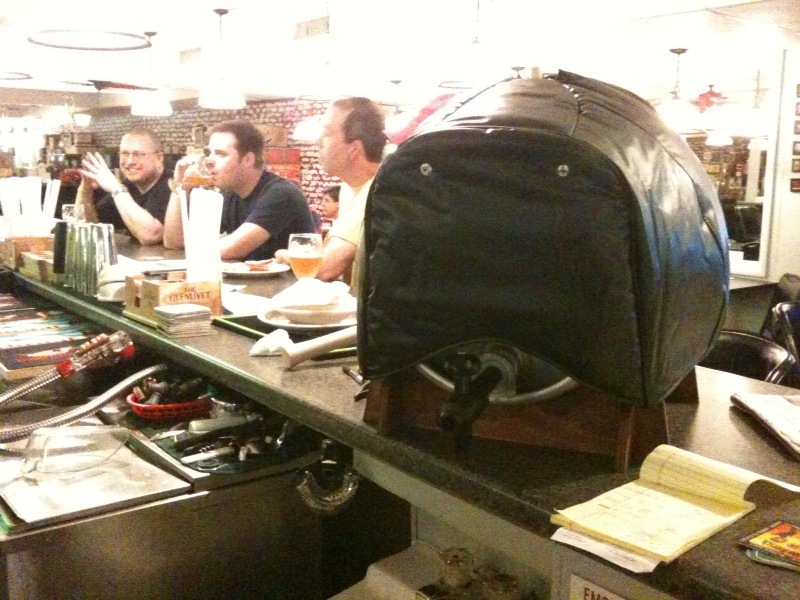 Today, I’m trying their ESBee firkin, which is very enjoyable. It was released just a few weeks ago at the Golden Bee pub. Bristol’s other standard beers are Beehive Honey Wheat, Mass Transit Amber Ale, Red Rocket Pale Ale, and Compress India Pale Ale. Bristol is located in Colorado Springs next door to Blue Star restaurant. The brewery has a tap room as shown in the photo. They provide growlers, kegs, bottles, and fill your contain for to go beer. 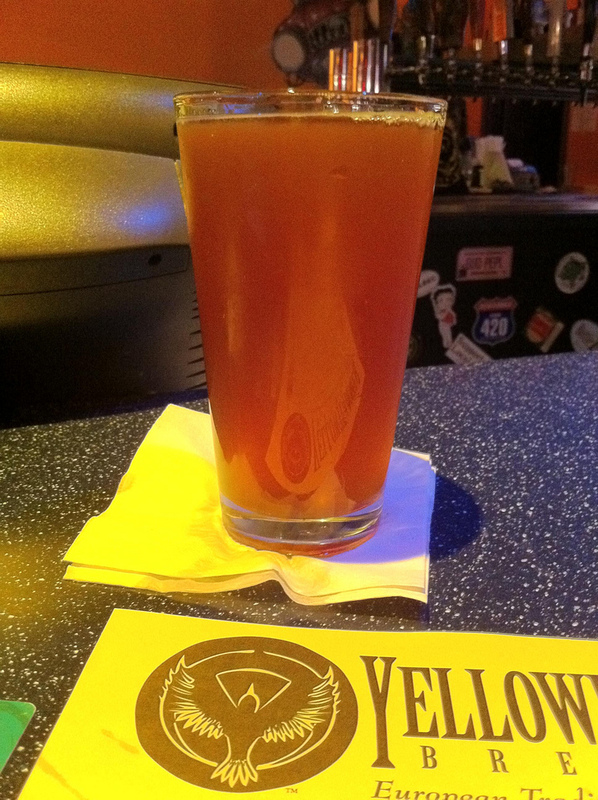 Yellowhammer Brewing’s IPA pours up with minimal head here at Huntsville’s Mellow Mushroom. Citrus flavors are very present in the initial tastes of the beer. I would say it is bias to grapefruit. In the finish, a little bit of the malt shows through in the flavors. The color is likely somewhere between 11 and 14 on the SRM scale. Yellowhammer Brewery’s Miracle Worker Tripel pours up with a nice head as the photo shows that fades to small head that holds on for a while. 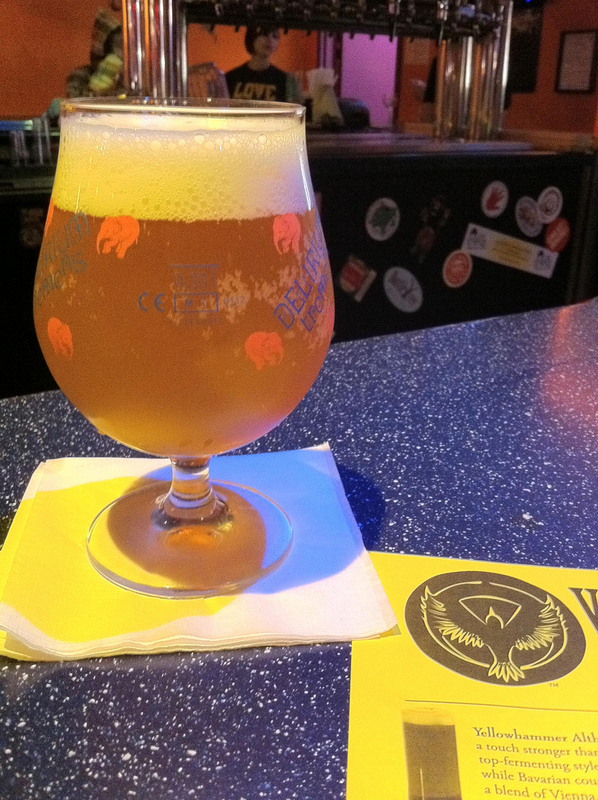 The Delirium tremens glass takes away from the experience, but what can you say to a bar back at a Mellow Mushroom. 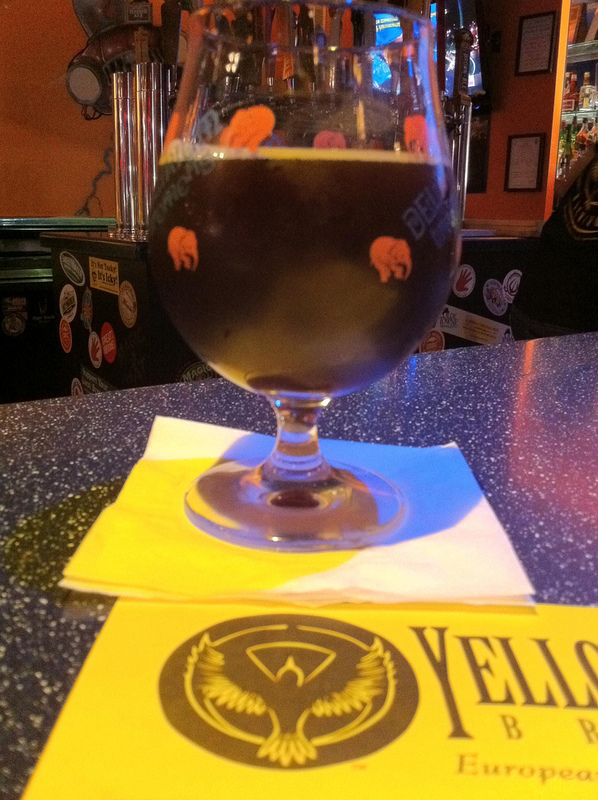 The yeast presents very well in the nose and continues into the taste in an enjoyable way. The mouth feel starts crisp fading into a sweetness that coats the whole mouth. The tastes are a mixture of sweetness and floral yeast flavors. The color is between 3 and 6 on the SRM. 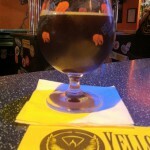 Yellowhammer Brewery’s UberAlt pours with little head and fades to no lacing and minimal bubbles around edge of the glass. The color is in the 28 to 30 SRM scale. The initial taste is a deep sweet malt flavor that has hints of coffee and dark malts. We are sadly having to say goodbye to Huntsville’s first brewery since prohibition. 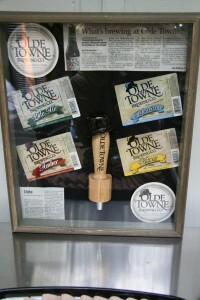 Olde Towne Brewing Co. has had call it quits. Their bottle line experienced more troubles and they have had to suspend bottling. Back in December, they let go of the sales personel. Their business manager has just left as well. 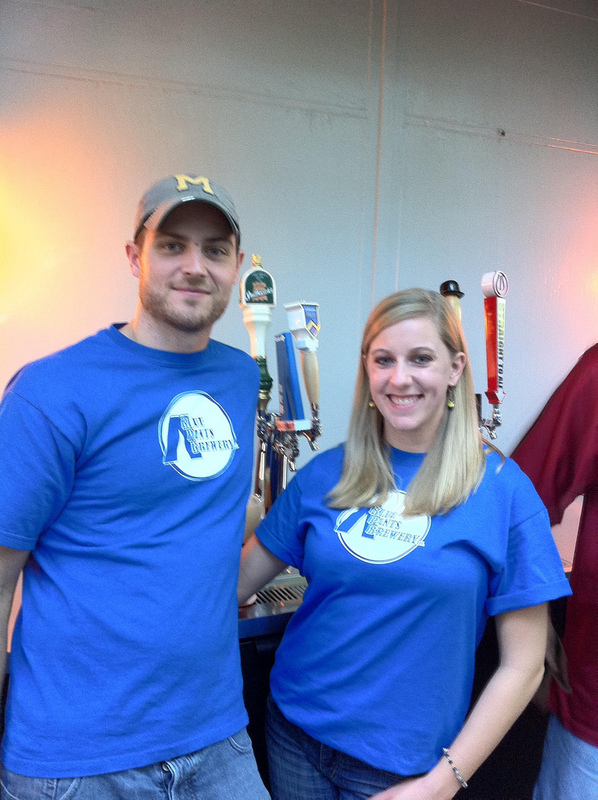 The brewer, Daniel Stearns, has taken on the role of Operation Manager, but he is actually the only person left. The owner is in the process of having another local brewery take over the facility including a possible lease-purchase. We are all here at The Nook celebrating Olde Towne and saying good bye to the crew. They was a nice size crowd. 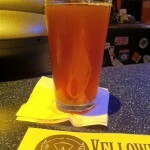 I got a chance to try Yellowhammer’s IPA and Belgian White Ale beer today. 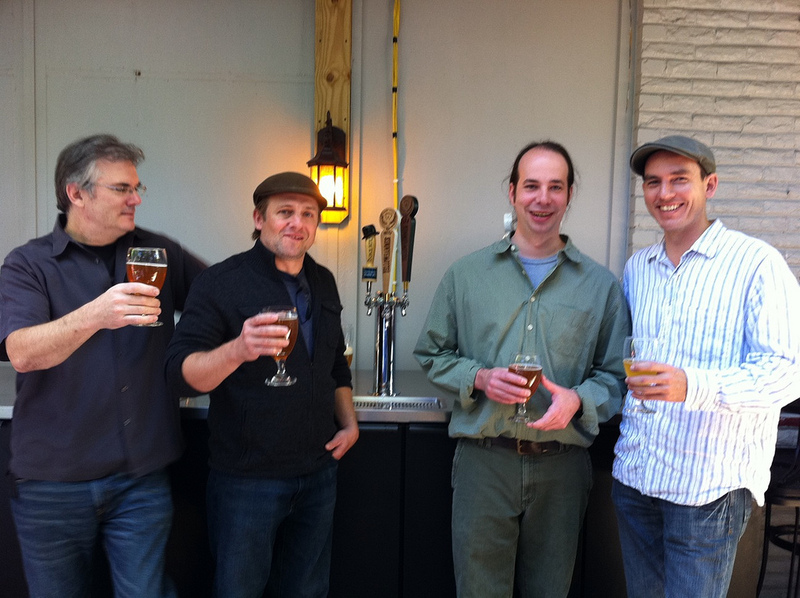 Today was the initial release of their beers. Both, are very nice. The IPA is the best with hop flavors that hold on to you to the end. The Belgian White Ale has spices that can surprise you, but I enjoyed it. Wheat ale brewed with fresh ginger and lime leaves. Brewed with four select malts and a blend of Centennial, Columbus, Amarillo and Simcoe hops. 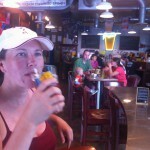 The beers are very good and I look forward Yellowhammer’s future beers. The whole team was very proud of the beers today and I was glad I got to be a part of the release. Bell’s Brewery released their anniversary beer to celebrate 25 years of brewing. 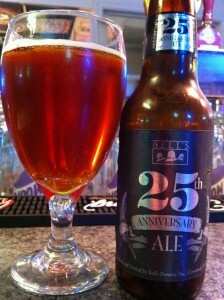 It is appropriately called Bell’s 25th Anniversary Ale. The style is an American Strong Ale. The beer starts with a good maltiness at the noise. The carbonation provides a little bite to complement the alcohol taste that is very mild in the beer. The body of the beer hangs on with the malt and doesn’t let go as the beer finishes. I would say this a great showing for Bell’s 25th anniversary. Good show! The Rogue Brewery representative stopped in my dad's bar this week. The representative had promotional items include stickers, t-shirts, information cards, and more. But, I had to get one of these items. I will let you figure out what it is. It works, because I drank some Rogue beers.